The Sower highlights the different ways in which people listen to and act on God's word. In the story, a sower scatters some seed on the path, on rocky ground and among thorns, and each time the seed struggles to germinate and is ultimately lost. Only when the seed is sown into the good earth does it thrive. The different terrain represents the state of people's willingness to receive God's word and follow his instructions. It's one of six parables retold simply and clearly, ensuring they are the perfect first introduction for young children to Jesus' much-loved stories. Beautifully illustrated, the picture book approach means each story can be read to the child but can also be enjoyed by children on their own as their reading skills develop. Next steps at the back of the book encourage further discussion and there's a rhyme for children to join in with and lots to spot. Sower by Su Box was published by QED Publishing in September 2017 and is our 4850th best seller. 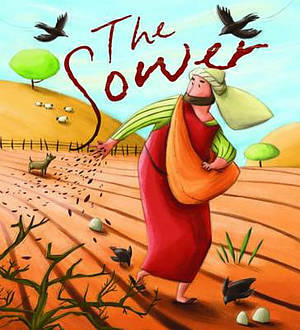 The ISBN for Sower is 9781784938499. Be the first to review Sower! Got a question? No problem! Just click here to ask us about Sower.